Batting: Joe Burns 42 off 80 balls. 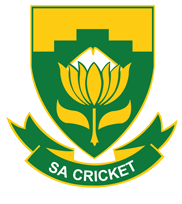 Bowling: Vernon Philander 6/21 in 13 overs, Morne Morkel 2/28 in 10.4 overs. Result: South Africa won by 492 runs. 1. Australia had ended their day with 7 wickets still in hand and were pretty confident that they can bat throughout the day. 2. However, Vernon Philander who was unable to find his magical length in the first innings bounced back with full force as he demolished the Australian side by taking 6 wickets. 3. After he took the wicket of Marsh all the other Australian batsmen fell without showing much resilience. Philander was unplayable on this Day 5 pitch as he was swinging the ball both ways with excellent accuracy. 4. Even the Australian captain, Tim Paine who had shown his batting skills throughout this series could not stop Big Vern as he got out cheaply by the bowler. 5. Australia had played 30 overs on Day 4 and they could only manage to stay 16 more overs before South Africa unleashed Big Vern to finish the job. 6. South Africa won this series by 3-1 to hand Australia a humiliating loss. Australia on the other hand, lacked some key players but that is no excuse for this huge loss by 492 runs. 7. Nevertheless, Vernon Philander was given Man of the Match and Kagiso Rabada was given the man of the series for his outstanding performance.